openparliament.ca - find information on parliamentarians based on Hansard records, social media, and media data; make haikus with Hansards! 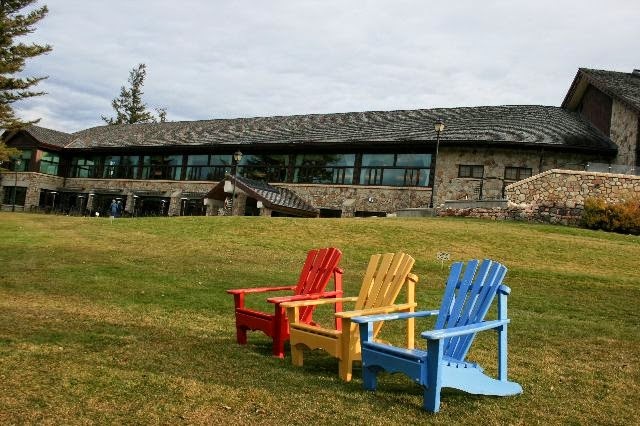 We are delighted to invite you to the 44th annual WILU (Workshop for Instruction in Library Use) conference, taking place in St. John’s, Newfoundland from June 15-17, 2015! 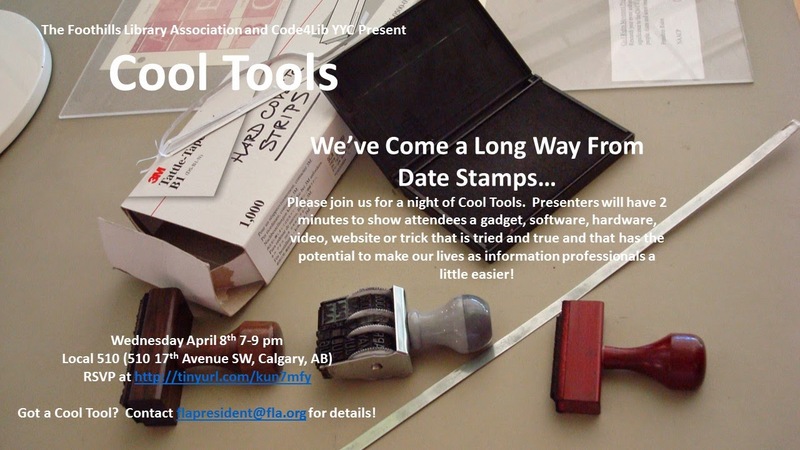 Reminder: Cool Tools Event Tonight! Would you like to learn something new in 2 minutes flat? FLA is partnering with Code4LibYYC as co-hosts for a Cool Tools event. Presenters will demonstrate gadgets, software, hardware, videos, websites, or others tricks that are tried and true, and that have the potential to make our lives as information professionals a little easier. Admission is free, but please register online here. Do you have a cool tool you'd like to share? If you would like to present a tool please contact flapresident@fla.org for details. The more presenters we have, the better this event will be. The Calgary Women’s Emergency Shelter (CWES) opened as a small shelter in 1973 and has grown since then to serve over 12,800 Calgarians in need annually. Its vision is to see a “community free from family violence and abuse” (CWES). They offer a wide range of services from child care and legal support to male counselling to help break the abuse cycle. The CWES relies on donations and government funding to support its daily operations. Last spring, I had a chance to meet with some staff representatives about funding and creating a resource centre for the women and children. Once the idea was approved, I started on a comprehensive training program that is mandatory for all volunteers and staff members. The CWES believes that as volunteers, we need to be proactive about abuse in the community, and the way to ensure excellence of service is to make sure we are all able to respond to situations. In September, the members of the FLA voted in favour of having the CWES act as the ‘adopted charity’ of the year. We put out a donation box at events and aim to raise additional funds so we can create a revolving collection in the shelter and the main offices. The actual creation of the resource centre began slowly. We got a huge head start on building a collection with the proceeds of the University of Calgary’s Business library and Downtown Campus library’s book sales for a total of almost $1000. In order to develop a library that meets the needs of a diverse and vulnerable clientele, I met with some members of the team to make sure we chose appropriate books. We wanted to create a balance of fun and helpful. I imagined it as a place women could go in the middle of the night if they were unable to sleep or a place where they could find a book to read to their children. Now that the CWES community is aware of the library, donations are flowing in. United Library Service has donated quite a few titles. I spend two hours every two weeks sorting through boxes of books to find the right balance between support and leisure and meeting with clients to discover their reading needs. Although this started as a literacy project, I have found that the CWES has become part of my life. I try to volunteer with various aspects of the organization from their casino night, to running the Scotiabank 10-K in May with members of the Business library at the University of Calgary. Rhiannon Jones is the EMBA/MBA Liaison librarian at the University of Calgary. She also serves as the FLA Vice-president. Don't Forget to Register for Trivia Night!! 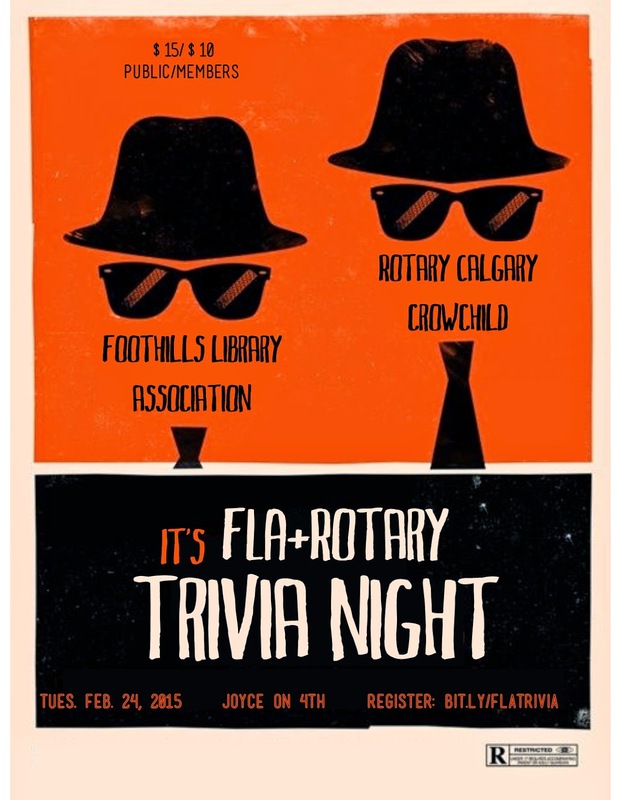 Trivia Night is just around the corner. Don't miss your chance to take part in this fun event to support a great cause. Tuesday, February 24, 2015, 7 p.m.
For librarians and information professionals interested to learn about data management or enterprise architecture, check out some of these local groups. Best of all, many of them host free events for interested participants, providing good opportunities to explore different aspects of the information management discipline without a cost commitment. This group has a website, but membership is actively managed through a private LinkedIn site. Meet-ups are bi-monthly and are composed of a networking component followed by a presentation. Presentations vary between technical and non-technical/business content. Meeting attendees include a large oil and gas contingent, and while content will often have a technical focus on oil and gas (such as application of PPDM Standards), many discussions are transferrable to other data management scenarios. PPDM is an international body that drives standardization and professionalization in data management practices in the oil and gas industry. In addition to large symposiums and training sessions, quarterly luncheons happen locally in oil and gas hub cities, including Calgary, Perth, and Houston. Membership is available at the institutional level. Their website is comprehensive, offering a wealth of resources to interested individuals. DAMA is the premier data management association worldwide, providing an international network of data management professionals and standardizing best practices through publication of the Data Management Body of Knowledge. 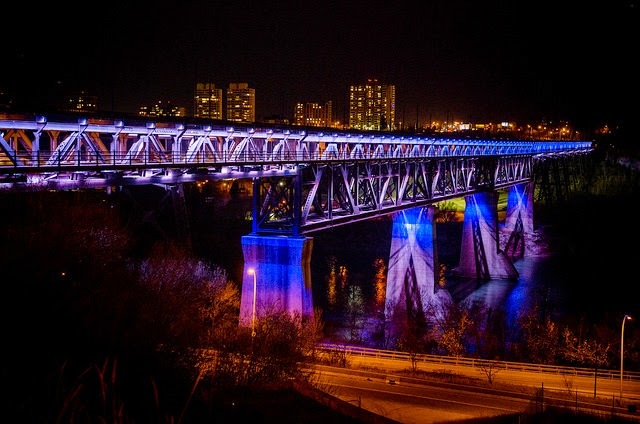 With Calgary’s information management industry being heavily focused in the oil and gas vertical, PPDM is a prominent local data management organization, but as yet there is no established local DAMA Chapter (the closest is Toronto). Calgary professionals (many affiliated with Alberta Data Architecture Community) have been looking to form a DAMA Chapter. They are soliciting interest and suggestions for format/focus via LinkedIn. CEAF delves into the broader realm of Enterprise Architecture, a discipline devoted to strategic application of technology within parent organizations. Meetings include strong representation from those working in data management. Many attendees are again within the oil and gas industry, but other groups, such as healthcare, are also represented. Meeting formats are informal gatherings with networking time followed by presentations. Discussions focus on technical aspects of Enterprise Architecture, as well as ongoing discussion of the EA discipline itself (as it is a more nebulous area of IT – something those working in information management may also appreciate). A website is available, but the private LinkedIn group is kept much more up to date. Melanie Sucha is Team Lead, Information Management Policies and Standards, with Suncor Energy; she also serves as the current FLA Webmaster. The Canadian Open Data Experience (CODE) is an intense 48-hour coding sprint February 20th-22nd, 2015 where innovators from coast to coast compete to build the best app utilizing federal government data from Canada’s Open Government portal. Starting with the announcement of the development themes at 6pm (EST) February 20th, 2015, you will have 48 hours to develop your submission using data from open.canada.ca and be eligible for a share of $40,000 in prizes. Come and participate at the Calgary Partner HUB located at the University of Calgary. For general information visit the CODE site. For details and registration see Calgary's Partner Hub page. The details for this year's Rachel Chan Memorial Grant are now available on the FLA website. Available to all FLA members in good standing, the grant offers $500 toward attendance at a conference related to your library and information work. Please see the website or contact the FLA Vice-President at flavp@fla.org.